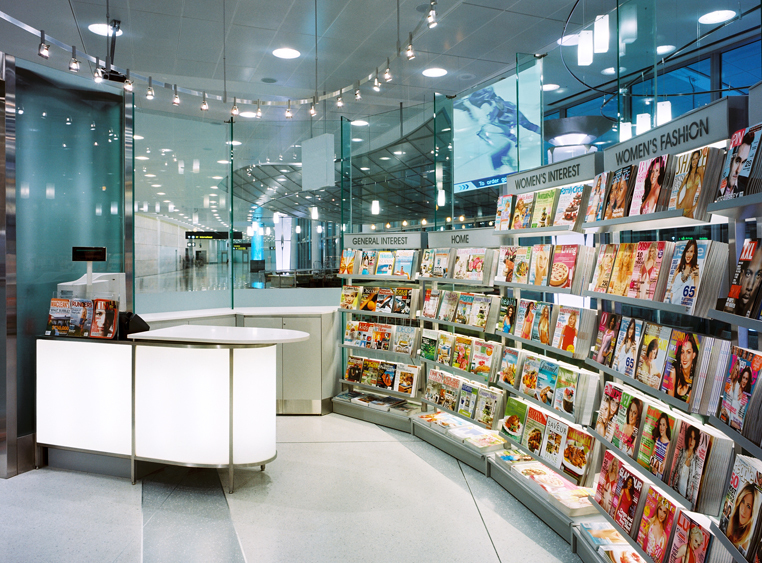 Envisioned as a pebble in the stream of airport traffic, this newsstand was designed to be a striking focal point within the new terminal atrium. 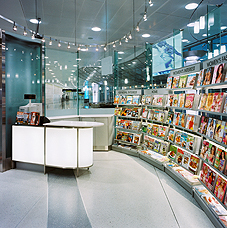 Highly visible to both arriving passengers and the adjacent food court, the transparent elliptical form is an engineering triumph that seamlessly integrates into its environment. 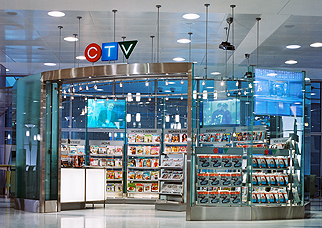 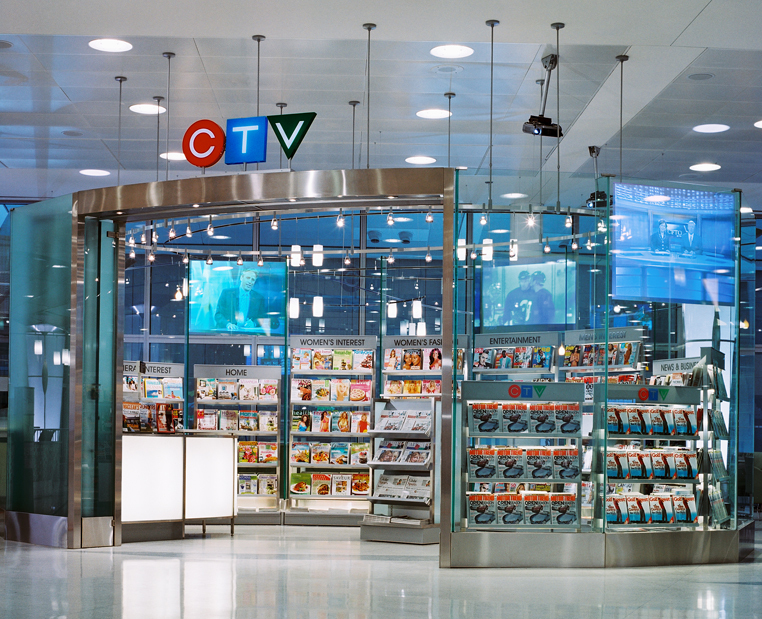 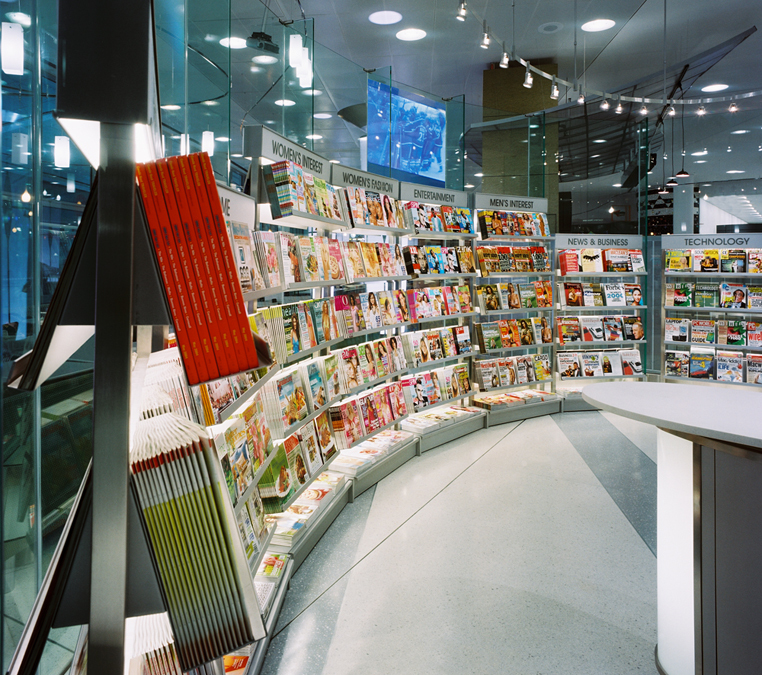 The fully self-supporting kiosk, resulting from a joint venture between HDS and CTV, offers travellers traditional print media within a dynamic futuristic environment that skillfully incorporates live news feeds from local television stations, as projections onto the glass surround. 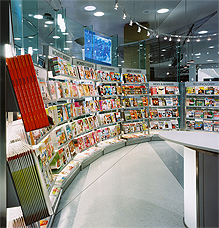 For both locals and visitors, the kiosk reflects a sense of place and creates an immediate connection to the recognizable Toronto media institution.